A Western Australian fast food chain specializing in rotisserie and fried chicken has enlisted one of their own to helm the brand’s Twitter account – not one of their own employees, one of their own chickens. 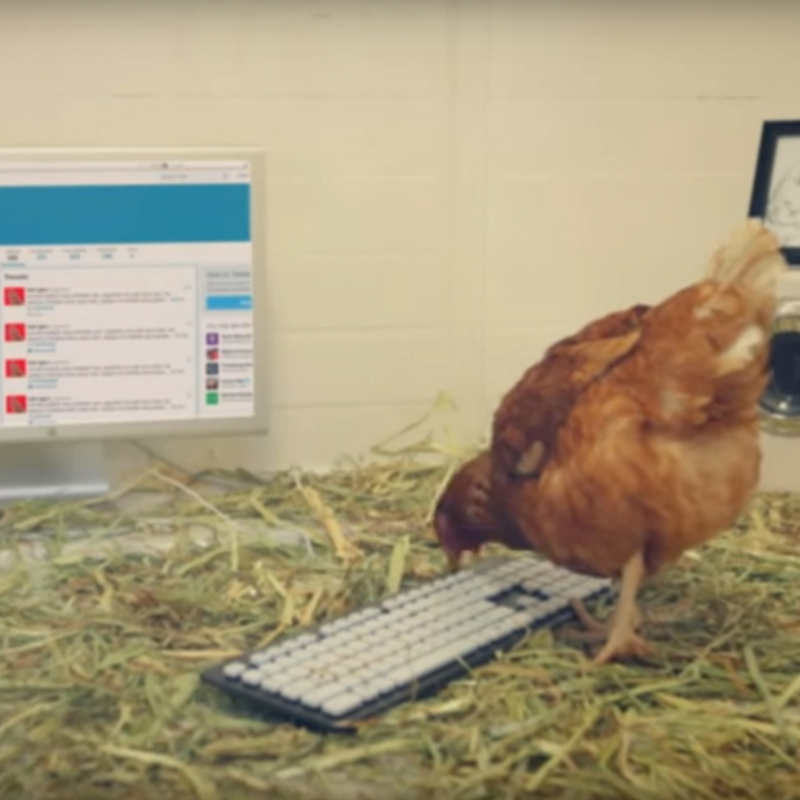 Though Betty has already sent out an extensive stream of tweets via Chicken Treat’s Twitter account, she’s yet to officially achieve her goal of earning herself a Guinness World Record. According to Australia’s 9news, to do that, the bird has to actually tweet out a word of at least four characters that is recognized by English language dictionaries. To this point, she’s only tweeted nonsense – though to be fair, her tweets make about as much sense as pretty much anything else I’ve seen on Twitter. So what’s a chicken feel is social media worthy? Most of Betty’s tweets have looked something like this: “RS5V U, DNUJ 576I8- BC 789UMJ / ZX 6 87Y6GU 0P 0 =-/O9 00O90.MKL 1 5Z R =VF4 MKILO0=- W EW2QZZZ QWE21 CBJ45NBKMMGK =.” Someone should nudge her off the caps lock button. Related: Eggheads: Did the Oregon Trail Get Food Right?